Utah ranks as one of the Top 10 Sunniest States in the nation. It averages more than 5 hours of peak sunlight each day, making it ideal for rooftop solar. If you have a solar energy system, CRI Home Inspections can perform a 3rd party evaluation to make sure your solar system is running efficiently and maintained properly for the unique Utah climate. Our business is to help you understand your system and make sure you are getting the most from living in this sun-bathed state. A Photovoltaic (PV) Solar System consists of more than just solar panels on a rooftop. 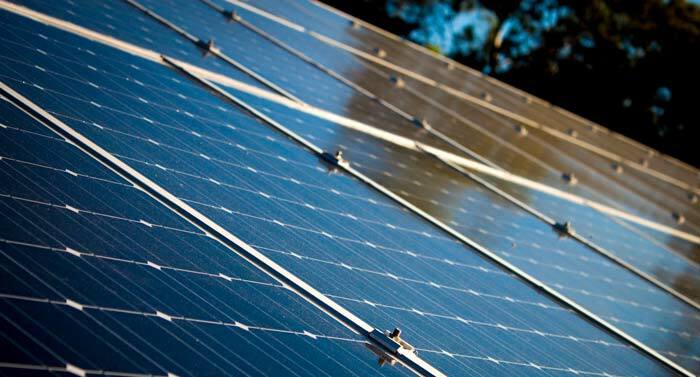 While the solar panels themselves convert sunlight to electricity, there are also controllers, inverters, battery banks, breakers and meters which connect the panels to your home and to the grid. Panel Mounting: The panels should be mounted so they won’t slide off or have leakage issues. They should also be an unshaded area, facing the right direction and have proper room for air ventilation and snow melt. Wires and Conduit: Wires should be hung so they are not dangling against the roof and should be weather-proofed. The conduits into the home should be of proper material. Suitable Equipment: All components of the system should be compatible with the amount of energy generated and consumed. Special meters (which can spin backwards) are required to sell energy back to the power company. The inspector can also check for shutoffs and lightning arrestors. Warranty: Many solar systems have 10 to 30 year warranties. Documenting defects and keeping a maintenance log are often necessary to keep this warranty. Our technicians can help create this log and other system documentation. Maximum Peak Energy Output: Using the size and efficiency of the arrays the inspector can determine how much electricity the user should be expecting at peak performance. Heat Map: Using a drone mounted with infrared (IR) technology the inspector can conduct a non-destructive survey of the solar panels. This infrared scan is ideal to check for dead cells, debris or other damage caused by wear and tear. Using a drone allows for proper viewing angles and other hard to reach areas. Maintenance Recommendations: After completing a full evaluation, the inspector can make suggestions on how to improve system lifespan and reliability. This could include deployed camera systems. The inspector may also find safety or fire hazards which may need to be addressed. C.R.I. provides an honest and thorough evaluation with no other agenda or interest. Follow these steps to easily prepare for your PV inspection. Know the location of solar panels. They should be accessible and clear of snow. Know the location of the inverter and metering box. Make sure they are clear and easily accessible for inspector. The main breaker panel may be inside the home and should have clearance for accessibility. Gather recent energy bills and other documentation about the solar system for consulting with inspector. How often should I inspect my Solar System? If you purchase a home with a Solar System or have one installed C.R.I. recommends having an initial 3rd party inspection to establish a maintenance record and confirm proper electricity generation. Systems receive wear-and-tear just as roofs degrade over time. If there is an extreme weather event which could have damaged the panels or you notice a drop in electricity generation consult an inspector. Depending on the system, C.R.I. recommends an inspection every 6 months to four years for higher assurance of reliability. What is a ballpark cost for a Solar System inspection? Cost varies depending on size, but inspections start around $225. If the inspector is conducting other inspections on the same home such as a roof inspection, the home owner and inspector can work to negotiate a price.